Trusted environment: A trusted environment separates security-critical code from the rest of the operating system. This strategic separation ensures only trusted processes that are isolated and protected from attacks and exploits can perform sensitive operations, such as data encryption and decryption. Trusted environments perform integrity checks prior to executing any software. These checks detect malicious attempts to modify the trusted environment and the software running on the device. Hardware-backed: A trusted environment is hardware-backed if hardware protections isolate the environment from the rest of the running system. This isolation ensures that vulnerabilities in the main operating system don’t directly affect the security of the trusted environment. The environment also ties integrity checks of the software running in the trusted environment to cryptographic signatures stored in the device hardware. Hardware- backed integrity checks prevent an attacker from exploiting software vulnerabilities to bypass protections and load unapproved software into the trusted environment. 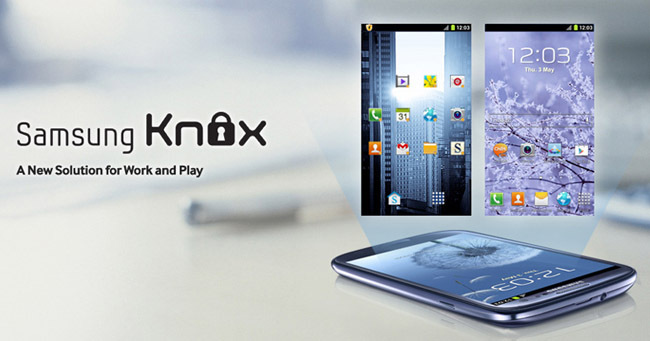 The Knox Platform uses a hardware-backed trusted environment and the specific components depend on the device hardware. For example, ARM processors provide a Trusted Execution Environment (TEE) that leverages components such as the ARM TrustZone, ARM Hypervisor Mode, and Embedded Secure Elements. Knox features that use the trusted environment include Real-time Kernel Protection (RKP), Trusted Boot, Device Health Attestation, Certificate Management, Sensitive Data Protection (SDP), and Network Platform Analytics (NPA).